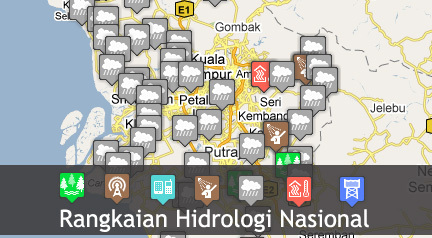 More than 2000 hydrological network in Malaysia. We provide a supply of data services for student, private company, government and reseacher. Before you apply please make sure you know which data you need. You will receive an email regarding on your data request. For the payment yaou can use either check,bank draft, wang pos or use online transaction through CIMB Cliks. You can check your data request using online. We also send you an email. We advice you to always login to your account. Simply type your IC no. Copyright ©2019 BPSAH,JPS M'sia. All rights reserved.